In Nell Zink’s The Wallcreeper, biology fails to determine anything at all. John James Audubon, the prolific 19th-century naturalist and famed ornithologist, wrote in his journal: “A true conservationist is a man who knows that the world is not given by his fathers, but borrowed from his children.” Audubon’s is a vision of the world in which the future is perpetually on loan to those who act in the present, where both procreation and conservation are the destiny of morally upstanding citizens. The idea of saving the earth for the sake of our children remains a secular covenant, even as politics has overtaken it. 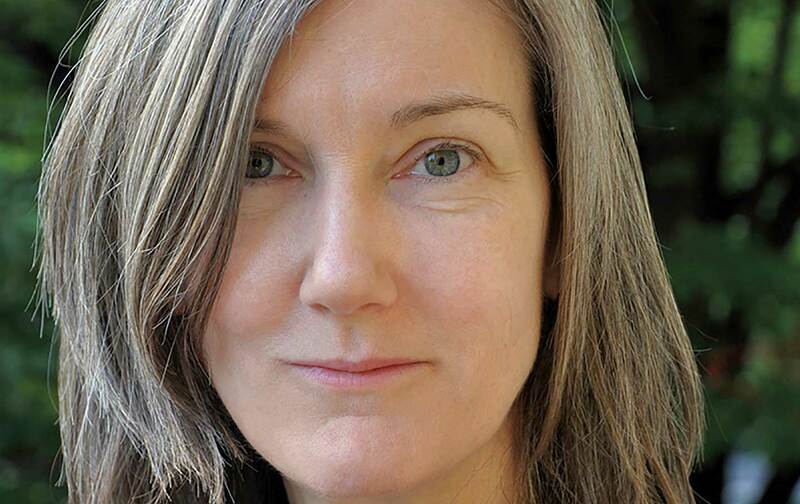 Nell Zink’s exuberant debut novel, The Wallcreeper (Dorothy, a Publishing Project; $16), which follows the young newlywed couple Stephen and Tiff, American environmentalists living in Europe, wants to break the covenant’s chains by showing how its chains can break us. The story begins with Stephen driving the couple’s car into a rock, causing Tiff to miscarry. It happens that Stephen loses control of the car as he attempts to collect a rare bird called a wallcreeper lying on the ground, and that Tiff may have never wanted a child in the first place (“It was just one of those things that happen when newlyweds get drunk”). The pair take the wallcreeper back to their home in Bern, Switzerland, and name him Rudi. Tiff narrates the novel, a wild thing that bucks easy characterization. Rife with chaos and extramarital affairs, The Wallcreeper is a story of the failure of biology to determine anything at all. Tiff says of one of her lovers, “He and I were that most common of endangered species: adulterers.” But in the ecosystem of the novel, that sentence is disingenuous: Hardly a person is introduced into the narrative who doesn’t eventually sleep with either Stephen or Tiff. Last year, Pope Francis appeared at a window of the Vatican’s Apostolic Palace to release a couple of “peace doves” and pose for a photo op. The event garnered significant attention from a minor portion of the Internet, mostly consisting of Lars von Trier fans, when a photographer posted images of the event’s immediate aftermath: The doves were attacked by a crow and a seagull. In The Wallcreeper, when poor Rudi is finally healed and released back into the wild, he ends up having his heart eaten by a hawk. The scene is hilarious, as well as drenched with symbolism—an example of Zink’s knack for teasing the rules of tragedy or avoiding them altogether. “You need to stay out of nature’s way while you’re young enough for it to ruin your life,” muses Tiff. But that’s not what happens at all. Stephen starts an affair with a media student and radical environmental activist named Birke and soon agrees to do advertising work for her organization, Global River Alliance, taking his relationship with Tiff downstream with it. The couple attend conferences in remote German towns, where Tiff mopes and Stephen speaks condescendingly about fish ladders and dams. The dams constrict the Rhine like a corset; they also produce methane that chokes the atmosphere. Tiff selfishly and typically views the dams as a manifestation of her inner turmoil, but the reader will probably learn a lot about the conflicts within Eastern Europe’s environmental-justice communities from these pages. Eventually, Stephen’s relationship with Birke dissolves, and as Tiff begins an affair with a lobbyist for the European Environmental Bureau, the couple befriend a hermit-priest who speaks mostly in aphorisms and convinces them to help him commit acts of ecoterrorism.